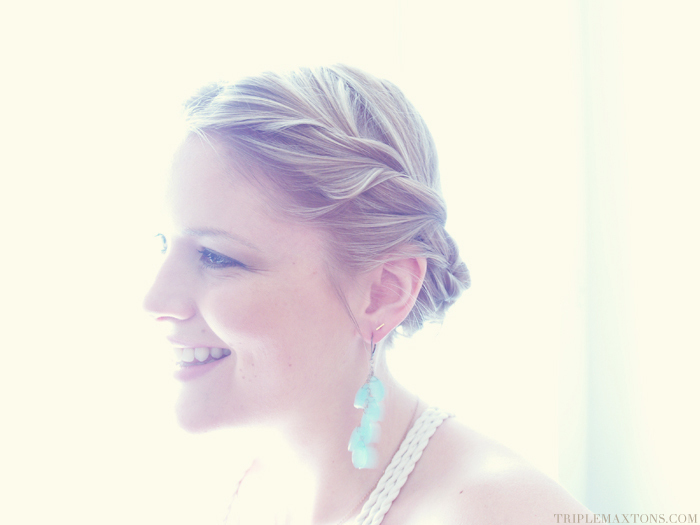 Hair Tutorial: Bohemian Twist Updo (Great For Summer, Weddings and Prom!) from Kirsten Powell on Vimeo. This romantic, twisty, bohemian updo literally takes only 4 minutes to style...and I have video proof! Trust me when I say I will be wearing this 'do all around town....during hot and stick summer days, at my friend's wedding, at home, at work (aka the same place as home....drats). Oh, and about that tiny little rat tail that didn't make it into the twisties? Don't worry...I pinned that up pronto. I love this, but I am so terrible at doing my own hair. I just bought a big girl blow-dryer, so I feel like that's a step in the right direction, but I really want to learn to braid my own hair now that it's finally long enough! What a fun summer style! Can't wait to give it a try!